Sold at the Christies Hong Kong Magnificent Jewels sale, this 75.36 carat briolette diamond pendant necklace sold for a record $11,145,734. 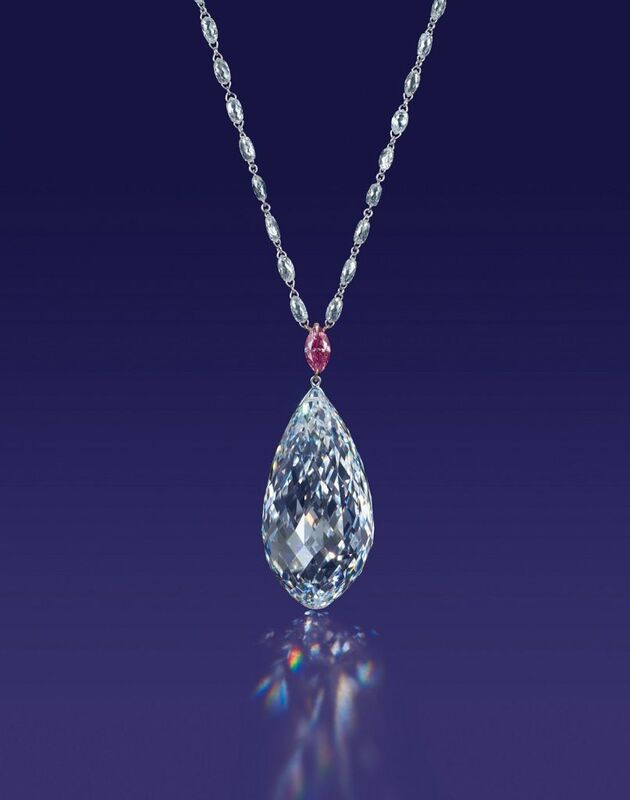 Originally valued at $8.5 million to $12.5 million, the D Color, Internally Flawless Clarity, Type IIa diamond was the biggest diamond ever to appear at auction. The entire Magnificent Jewels sale netted $82,947,664.